In between answering rancher questions on animal nutrition, range and pasture by the phone or in person on farm calls, I have research on using rice straw as cattle feed research projects, hire student to write a grazing to reduce wildfire publication develop. 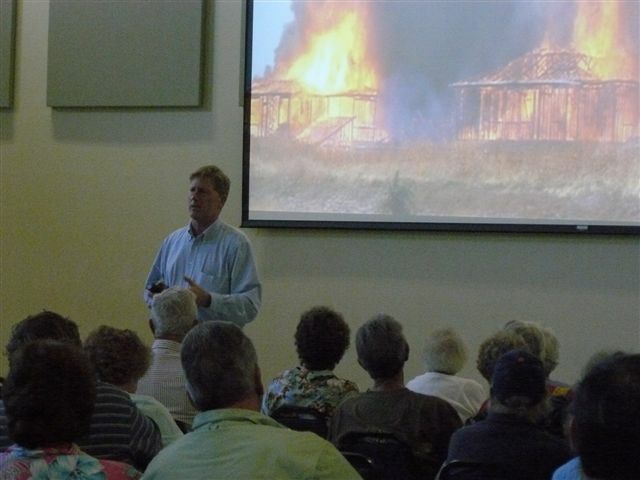 I also develop education information for wildland homeowners how to reduce the risk of their home being lost in a wildfire through the local fire safe councils. When one of the fire mitigation that I worked with a fire safe council to construct was one of the major reasons that stopped a major wildfire. Helping people with knowledge to solve problems. My wife and I bought a ranch in Lassen County and were having a difficult time of making a living on it, so when an advisor job opened up in Susanville, we decided that was the best way to have a sustainable agriculture operation. The ranch gave me a practical application to understand rancher problems and the use of UC knowledge to solve them.